Mark Twain’s complete, uncensored Autobiography was an instant bestseller when the first volume was published in 2010, on the centennial of the author’s death, as he requested. 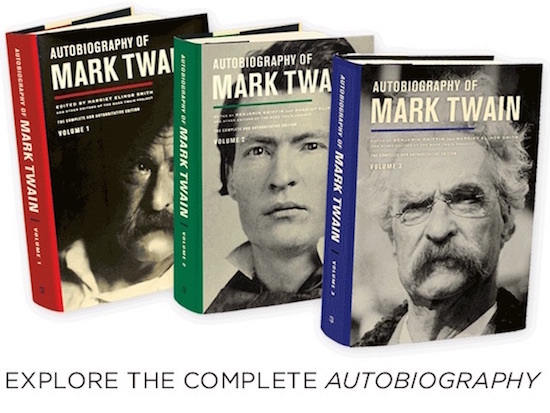 Published to rave reviews, the Autobiography was hailed as the capstone of Twain’s career. It captures his authentic and unsuppressed voice, speaking clearly from the grave and brimming with humor, ideas, and opinions. The eagerly-awaited Volume 2 delves deeper into Mark Twain’s life, uncovering the many roles he played in his private and public worlds. Filled with his characteristic blend of humor and ire, the narrative ranges effortlessly across the contemporary scene. He shares his views on writing and speaking, his preoccupation with money, and his contempt for the politics and politicians of his day. Affectionate and scathing by turns, his intractable curiosity and candor are everywhere on view. Benjamin Griffin and Harriet Elinor Smith are editors at the Mark Twain Project, which is housed within the Mark Twain Papers, the world’s largest archive of primary materials by this major American writer. 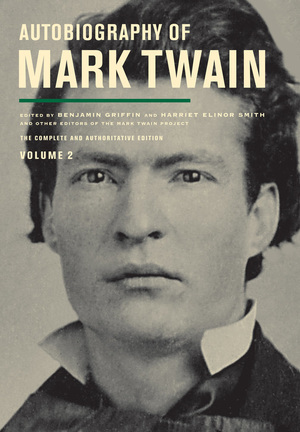 Under the direction of General Editor Robert H. Hirst, the Project’s editors are producing the first comprehensive edition of all of Mark Twain’s writings. "One of the more marvelous literary projects of our time." A lively series of interviews introducing viewers to the work that went on behind the scenes in the production of the Autobiography of Mark Twain.